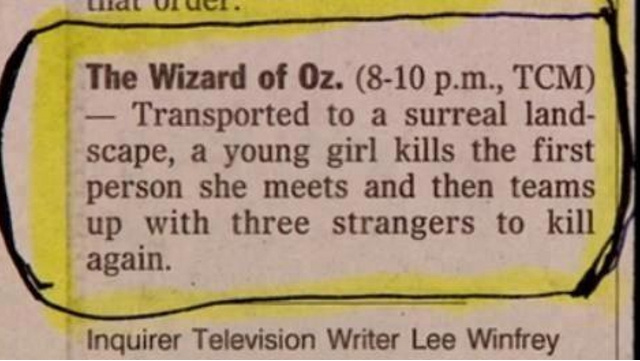 An article in Entertainment Weekly talked about this description of The Wizard Of Oz. Theres no place like the Internet. At the end of the article the challenge you to come up with your own. Shall we try? The next post will be some examples from their readers, to spark your imaginations. Ha! Got you with that one, didn't I?